We bring forth high quality Mica Scrap in the industry. 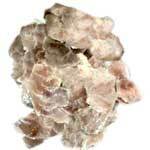 They Ruby Mica Scrap that we offer is irregular lumps of mica extracted from the mines. Our White Mica Scrap has area between Â½" and 1 Â½" sq. Mica Scrap is mainly exported to plants all over the world to be made into a pulp that is used to manufacture mica paper and reconstituted mica plates. 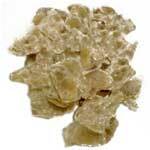 Besides, it is also used as a raw material for the production of mica flakes and powder. Besides, we are one of the principal Black Mica Scrap Manufacturers in India. Material:The mica is muscovite ruby. Purity: Minimum 97% of scrap mica in 2A & 2B. Thickness: Are in between 0.007" to 0.100"
Sized: 85% of the material will be retained of screen size Â½ inch square or as specified by the customers. Moisture: The material having maximum 0.1% by weight as determined by heating 15 grams at 150Â°C for one hour. 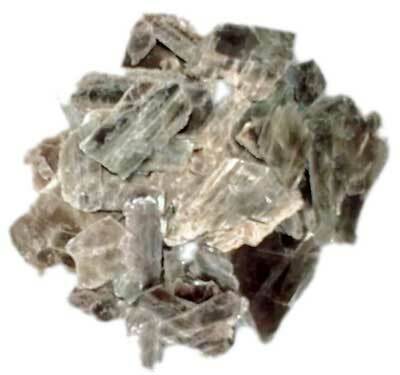 Quality: The muscovite mica scrap will be fresh, dry & free from rust, quartz, tourmaline, garnet, clay, iron oxide biotite (black mica), dust, fines, hard & dark stained. It is free from organic impurities like Wood, Paper, Straw, Plastics & Fabrics. Packing: The muscovite mica scrap is packed in poly line Jute, H.D.P. /P.P. bags: each bags minimum 50kgs. Or maximum 80kgs. Or as per customers requirements. Labeling & Marking: As per customers specification. Weight loss & Colour on firing or ignition: the muscovite mica scrap when fired to completion as per IMIM 402.7 the weight loss shall be 4-5% by weight maximum. 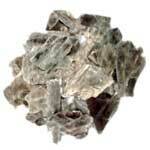 The colour of the fired mica scrap will be like Pearly Gray (silver gray).